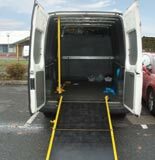 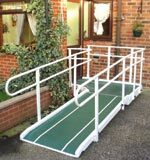 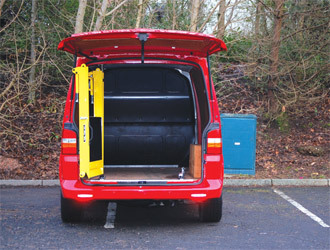 The Fixed Clearview Swing Out Ramp is part of our van loading ramp range. 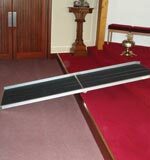 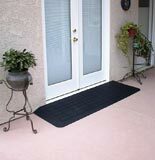 When this ramp is installed in its stowed position, the top third of the ramp is visibile through. 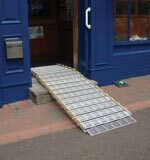 This is enabled via two hinged middle panels which fold up inside so that the top of the ramp is clear for easy reversing / better all round vision. 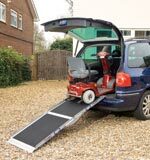 The gate facility allows the ramp to swing out of the vehicle to assist with manual loading.